James Walsh specialises in adult reconstructive foot and ankle surgery, sports foot & ankle surgery and minimally invasive foot and ankle surgery. James is a graduate of the Royal College of Surgeons in Ireland (2001). Following this, he completed his basic surgical training in Dublin and was awarded a Master of Surgery (MCh) degree from University College Dublin in 2008. 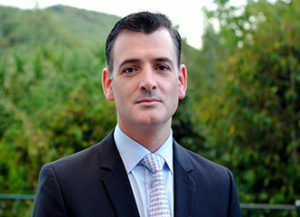 He completed his training in orthopaedics and foot & ankle surgery on the Irish Higher Surgical Training programme in Trauma and Orthopaedic Surgery, obtaining his degree FRCS (Tr&Orth) in 2011. He then undertook subspecialty fellowship training in Australia in 2012 on the Sydney Foot and Ankle fellowship (Royal North Shore Hospital) for 1 year, covering all aspects of foot and ankle surgery, including degenerative disease, sports and trauma, minimally invasive and arthroscopic surgery. He followed his training in Sydney with clinical attachments at the Kantonspittal Hospital, Liestal Switzerland, focusing on ankle and distal tibial surgery and at the Amsterdam Medical Centre, Netherlands, specialising in arthroscopic ankle surgery techniques. In addition to his practice in the Sports Surgery Clinic, James also works at Cappagh National Orthopaedic Hospital and Beaumont Hospital, Dublin. He is a member of both the Irish Orthopaedic Foot and Ankle Society (IOFAS) and the European Foot and Ankle Society (EFAS).